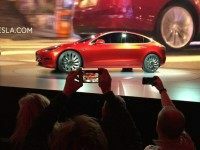 Tesla was forced to deny a report by highly rated Silicon Valley tech analysts at Needham & Company that cancellations for its Model 3 sedan are outpacing new orders. 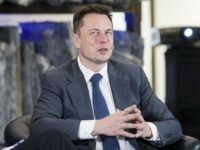 Tesla CEO Elon Musk reportedly told workers to stop performing a critical brake test on Model 3 cars as the company rushed to meet a self-imposed milestone of 5,000 cars produced per week. 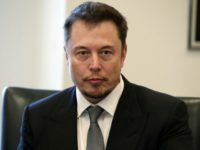 Tesla is reportedly suing a former employee for the alleged theft of confidential company data and for making false claims to the media. 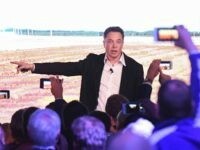 Elon Musk acknowledged Sunday that Tesla, at its current production rate, would “lose money and die” if it sold Model 3 mass-market sedans at the promised price of $35,000. 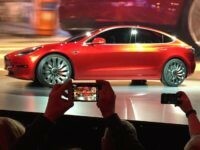 Tesla CEO Elon Musk has admitted that the company’s new Model 3 car has problems with its braking system but that this will be fixed with a software update to the car. 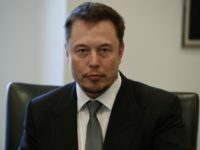 Elon Musk’s electric car company Tesla has stopped production on their already delayed Model 3 sedan and has replaced their automated production robots with human workers. 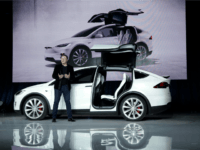 With analysts slashing Tesla’s earnings estimates, and its stock diving toward an eight-month low, CEO Elon Musk took to Twitter to spin fanciful dreams of a full-size electric pick-up. 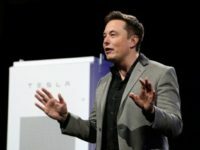 Tesla Inc. bought its automated machine tooling vendor after delays in its supposedly robotic Model 3 production line caused its stock to plunge by $15 billion in 6 weeks. Tesla reported dramatically better revenues Wednesday, and a much smaller loss for the quarter, sending its stock up by 6 percent as investors who had sold short were crushed. 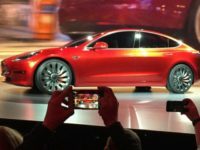 Motor Trend magazine declared its first road test of a production Tesla Model 3 all-electric-vehicle as a winner — if customers are willing to pay $60,000. 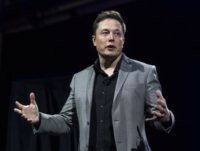 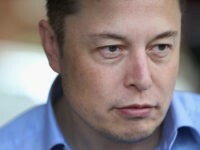 Tesla’s Stock crashed on Monday, a day after Elon Musk tweeted that Tesla’s Model 3 had passed all regulatory requirements and initial units would begin rolling off the assembly line on July 7. 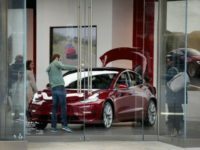 Tesla stock plunged in after-hours trading Wednesday as the all-electric car maker dropped by over 5 percent following revelations that it spent $622.4 million in the last 90 days in an all-out effort to launch its Model 3 sedan. 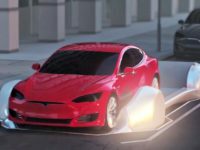 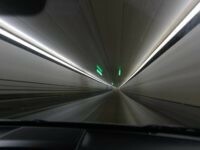 Elon Musk entertained the 2017 TED Conference by previewing how Tesla intends to solve almost all vehicle congestion by massive boring under cities to create an all-electrical tunnel transport system. 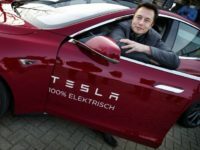 Tesla stock jumped by 3 percent on April 10 to pass Ford and GM as America’s most valuable auto maker in just 14 years. 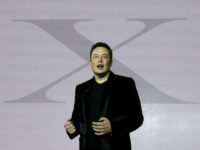 Some analysts fear Tesla will either be financially insolvent in four months, or have to sell huge amounts of stock to stay afloat. 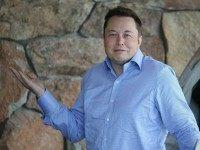 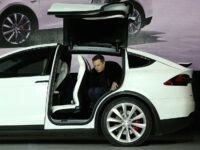 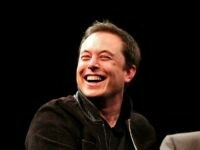 Tesla Motors Inc. reported this week that revenue nearly doubled in the latest quarter. 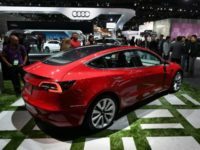 The all-electric car company reported its first quarterly profit in over three years, thanks to cashing in $139 million of California tax credits.